Bord Bia will be offering numerous roles in Ireland and abroad, the company confirmed. The jobs will be available at the Agri Careers Expo. Bord Bia CEO Tara McCarthy opening the meat marketing seminar. The organisation will be taking on 11 jobs at this year's Agri Careers Expo. Bord Bia has confirmed that 11 roles will be available at the Agri Careers Expo. These jobs will be across marketing, communications and HR, as well as opportunities in overseas markets such as North America, Shanghai, north Africa and Great Britain. 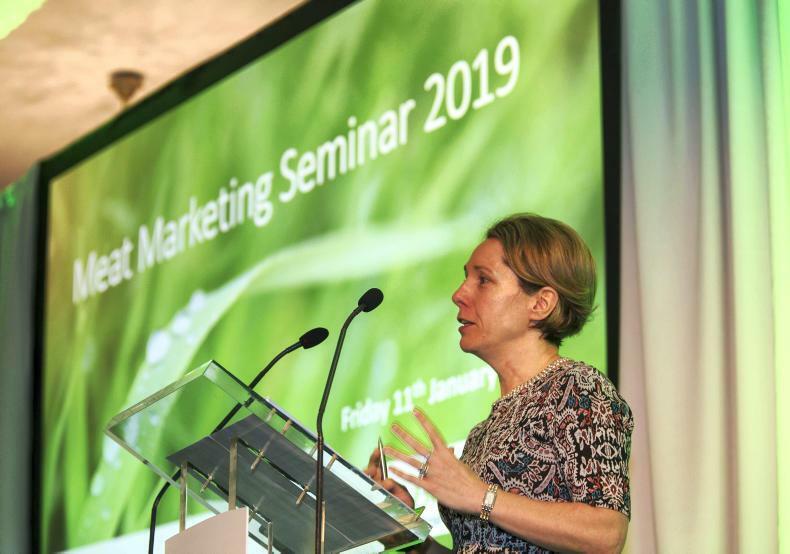 Using its market expertise, consumer insights and a network of 13 overseas offices, Bord Bia plays a major role in the success of the Irish food and drinks industry. The company markets and promotes Irish food, drink and horticulture both in Ireland and around the globe. Working alongside farmers, processors and agribusinesses, it aims to support the growth of the sector through increased exports expanding markets. For those interested in applying for these jobs, the company will be exhibiting a stand at the event.